An Giang (VNA) – The Mekong Delta province of An Giang received more than 1 million tourists to its religious sites in February, up 200,000 from the previous month, according to the provincial Department of Culture, Sports and Tourism. The number represented 26 percent of the local yearly target. Religious tourism has been developing in An Giang in recent years. The locality is famous for a complex of historical and religious sites, including Temple of Ba Chua Xu Nui Sam in Chau Doc city, Cam Mount in Tinh Bien district and That Son, a range of small mountains located in Tri Ton and Tinh Bien districts. The province has been stepping up promotion campaigns for these tourist attractions and worked to stop local service providers from illegally soliciting travellers and overpricing. 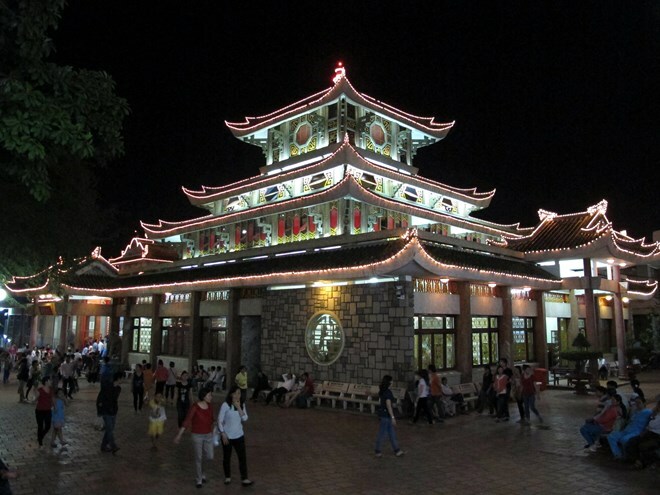 Chau Doc city, where most tourist sites are located, has offered free wifi at Basa Fish Park, Bo De Dao Trang Pagoda Park and Ba Chua Xu Nui Sam Temple while Tourist.ONE, a mobile application that offers travel guide in the province and helps travellers book tickets, has been also developed by the department and a local mobile operator. This year, An Giang province aims to welcome over 6.8 million tourist arrivals, earning the revenue of more than 3.5 trillion VND (153.8 million USD).